And it won't take much for years of memories to fade. As the first wave of hands-on reactions to Motorola's new Moto Z flagship start to surface, I can't help but think: Man, this sure is a different company than the Motorola we knew a few short years ago. It quite literally is, of course: As we all recall, Google sold Motorola to Lenovo in early 2014 -- a mere 20 months after it took the company's reins and transformed it into an idealistic model of what an Android manufacturer could and should be. But this saga goes much deeper than that. When the sale was announced, Lenovo insisted it intended to "keep Motorola’s distinct brand identity" -- a promise many of us approached with skepticism but cautiously hoped would hold true. Now, just days from that proclamation's two-and-a-half-year anniversary, it's looking more and more like the skepticism may have been warranted. With each passing month, we're seeing more evidence that what's left of Motorola is mostly a name -- a thin shell of the company we once knew and loved, with a whole new creature living inside. Signs of the old Motorola evaporating have been showing up for quite a while now. After establishing and outwardly marketing itself as the Android manufacturer that delivers quick and reliable operating system upgrades, Motorola faltered with its first post-acquisition rollouts -- the Android 5.0 and 5.1 Lollipop updates. The company plunged from a shining A+ in my previous year's Android upgrade report card to an embarrassing last-place D score in my 2015 analysis. Then came the now-infamous Marshmallow meltdown, when Lenovo's Motorola outright broke its promise of ongoing support for some of its most prominent and recent Android devices. Worse yet, it left loyal customers in the dark -- without so much as an explanation for its about-face or any attempt to make things right with those it had pledged to support and then unceremoniously abandoned. Factor in the reports of also-deteriorating support on the hardware warranty side of things -- an area where Motorola had once excelled -- along with factors like the quiet phasing out of subtle post-sale extras that had once made the company seem special, and it became increasingly clear that things were starting to change. As it turns out, all of that was just the tip of the iceberg -- a scattering of signs representing more significant shifts deep within the company. Earlier this year, Lenovo announced it would de-emphasize the Motorola brand and instead work to make "Moto" a product line within Lenovo -- a considerable pivot from the originally stated plan of "keep[ing] Motorola’s distinct brand identity" and allowing it to thrive with the support of Lenovo's manufacturing and distribution resources. Then Moto CEO Rick Osterloh -- who himself had taken up the post after the original Google-era CEO, Dennis Woodside, stepped down at the start of the Lenovo transition -- left the company as part of what was called a "broad reorganization." With Osterloh out, Motorola effectively became an element of Lenovo's broader "mobile business unit," led by an existing Lenovo exec who reports directly to Lenovo's CEO. Osterloh wasn't the only one headed out the door -- far from it. Long-standing Motorola design chief Jim Wicks announced his departure from the company last month. Lior Ron, who served as the product lead on key Moto devices like the original Moto X phones and the Moto 360 smartwatch, revealed his resignation earlier this year. Numerous other high-profile Motorolans from the Google-owned era, like VP of Product Management (and frequent public face of the company) Punit Soni, Senior Director of Product Management Mark Rose (also once an active company presence on social media), and many others responsible for much of Motorola's former identity have also said so long in the time since Lenovo's takeover -- some seemingly by choice and others as a result of overt cutbacks and "restructuring." All of that brings us to this year's new devices -- and with the hand-in-hand evolutions of staff and philosophy within the new Motorola, it should probably come as no surprise that the company's latest products are a far cry from the phones that once made us all sit up and take notice. Early reviews of the latest Moto G paint a troubling picture of that once-groundbreaking budget phone line's apparent progression. As for the higher-end Moto Z -- the sort-of successor (for now, at least) to the flagship Moto X -- it's safe to say the phone bears little resemblance to the design language the previous incarnation of Motorola built its brand around. Whether that ultimately ends up being a good thing or a bad thing is something I'll leave up to reviewers to decide, but either way, there's clearly a new sheriff in town. 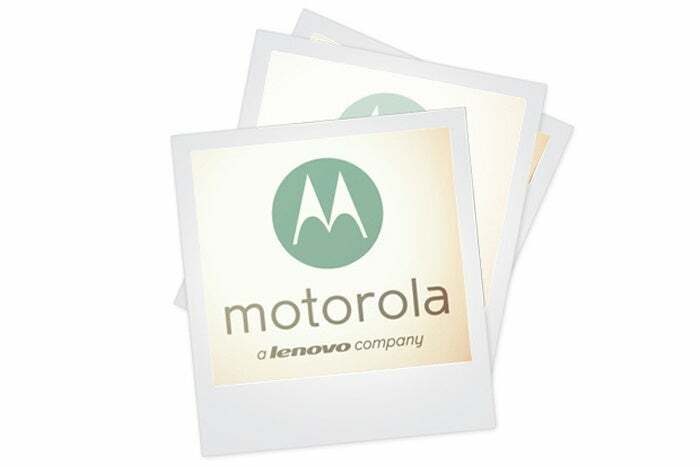 For better or for worse, Motorola has effectively become another Polaroid -- a once-influential brand that's now a hollow name stamped on a surface. The products themselves have little to do with the company we remember; for all practical purposes, seeing "Moto" on a phone made by Lenovo isn't much different than seeing "Polaroid" on a camera made by C&A Marketing. Just like with a Polaroid, though -- both the company itself and the photos its cameras created -- the memories of yesteryear are bound to fade before long. If Lenovo wants the Moto name to continue presenting positive associations for consumers, it's going to have to produce products that actually carry on the company's legacy. Either that, or it has to build upon that history to create a new legacy that's equally impressive and consumer-centric. A familiar logo only gets you so far. Motorola is a whole new beast yet again, and it's up to Lenovo to prove that that big bold "M" still means something that matters.